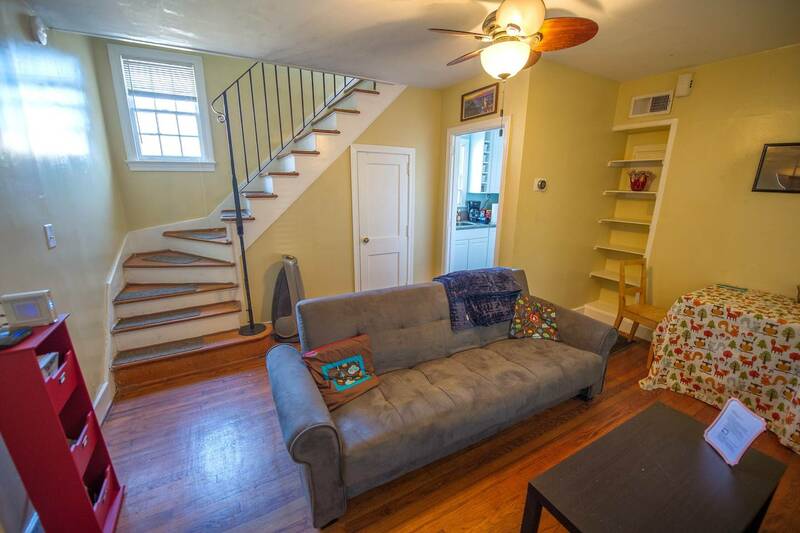 Situated close to the College of Charleston and the Medical University of South Carolina, this apartment is just 3 blocks from the famous King Street, well known for shopping and is convenient for a short stay. Private parking with handy local store across the street. 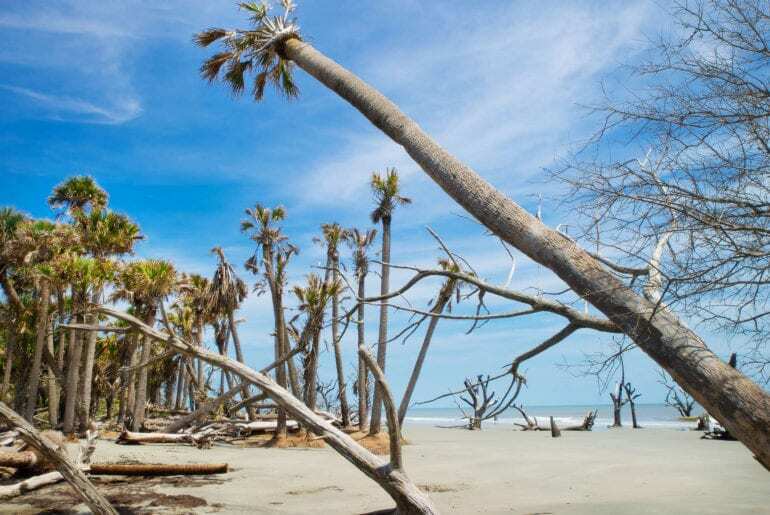 Located halfway between downtown Charleston and Sullivan’s Island. Close to Shem Creek and Patriot’s Point. 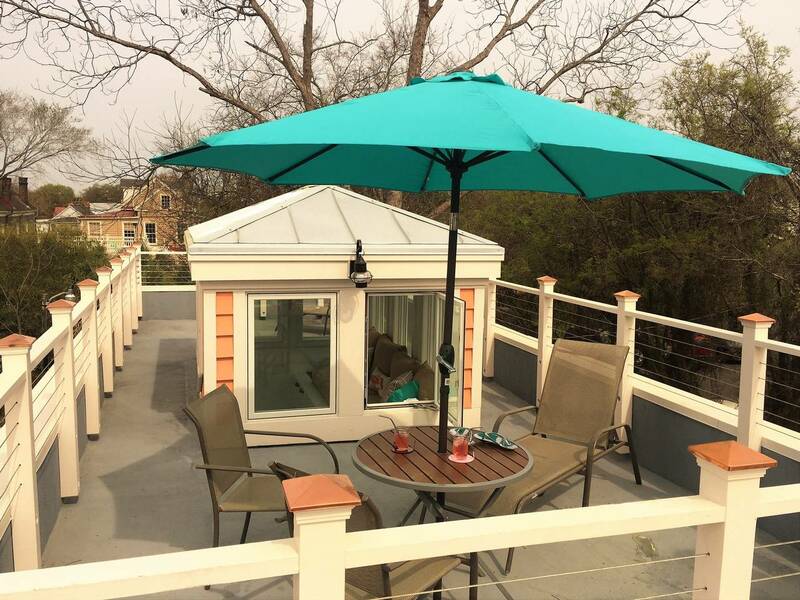 Enjoy fabulous porch views of Ft Sumter and the harbour. Quiet and peaceful but close to everything. There are 2 kayaks available for you to use should you want to explore the nearby creek, which is a lot of fun. 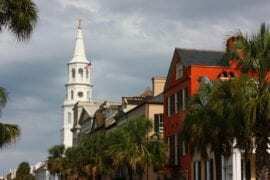 If you want to go a bit more upmarket, check out our list of luxury Charleston Airbnb properties here! 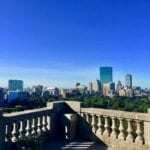 Newly renovated apartment in a historic building thats full of charm. Nestled in the heart of downtown 2 blocks from the shops of Upper King St. Boasting its own private rooftop deck, it’s just short walk to some of the best restaurants in the city. Lyft and Uber are readily available from here. So all in all, a great spot. 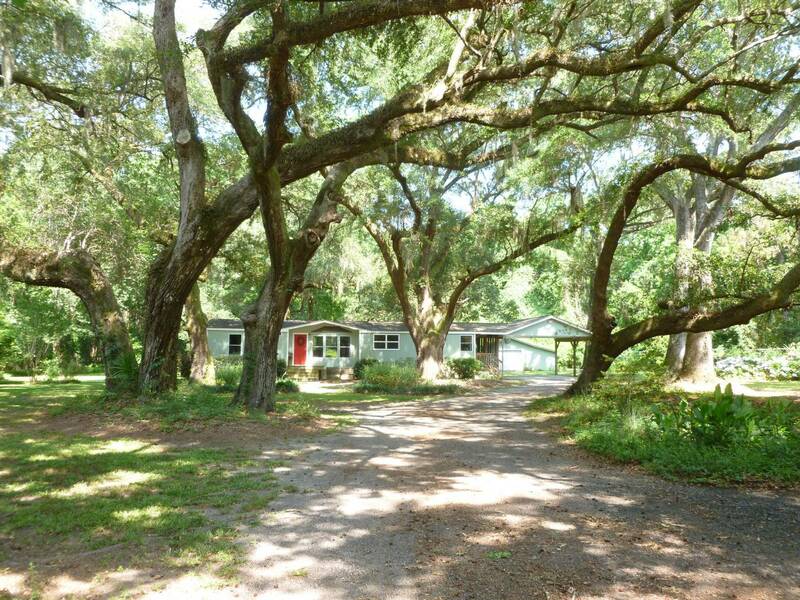 This rustic home is situated below a canopy of live oaks, and has a panoramic view of the woods. So this is a slice of island paradise. 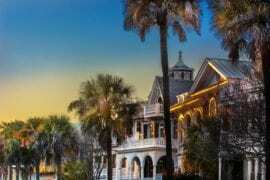 Located off scenic River Road, near downtown Charleston, Kiawah and Seabrook Islands, and close to Folly Beach. 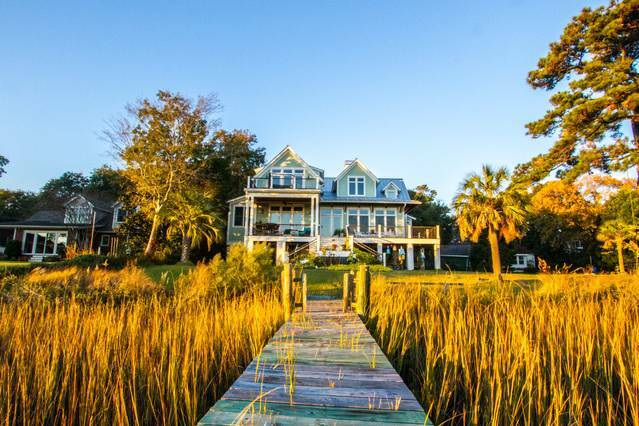 Located on a deep-water creek, a few minutes from Folly Beach. 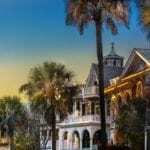 With great restaurants in the local area, and a short distance to the James Island County Park. So, great for nature lovers. Downtown Charleston is easily accessed from the James Island connector. That is only a mile away from this property. 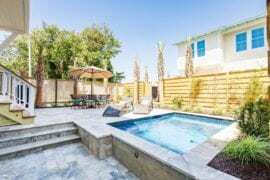 8 Of The Best Folly Beach Airbnb Vacation Rentals Folly Beach Hotels All Booked Up? 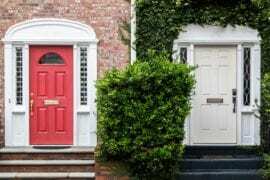 Try These Airbnb Alternatives! 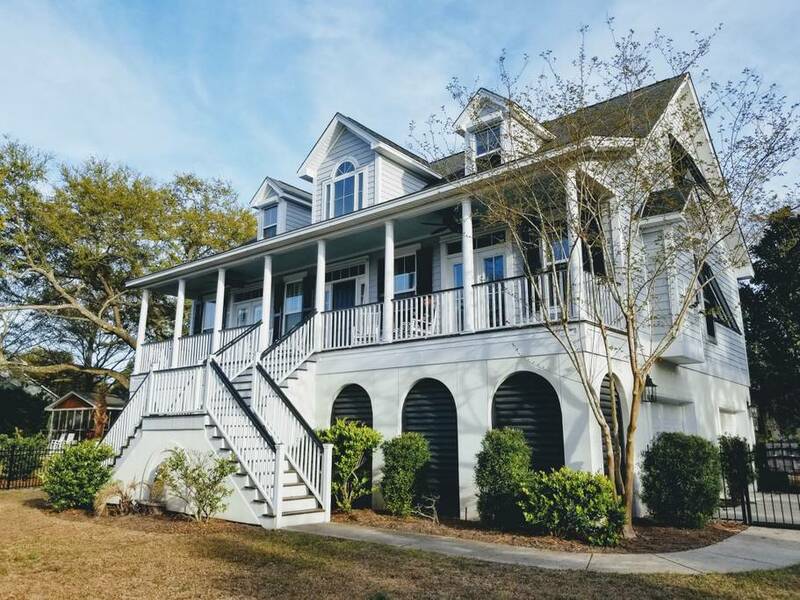 Located mid-Peninsula and approximately 1.5 – 2 miles to historic downtown Charleston. The boat is in a private marina providing a beautiful setting. 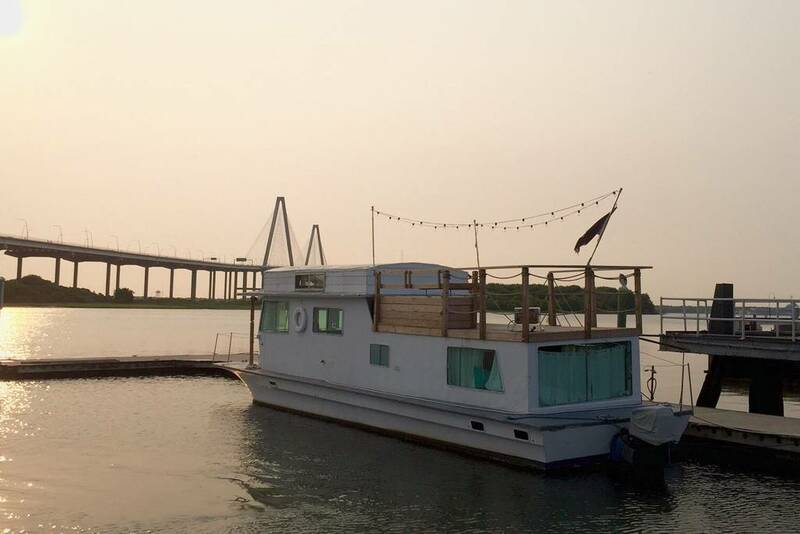 So this is all about peace, tranquility, and a stunning view of the Charleston Harbour. This is a cozy bungalow minutes from the historic area. 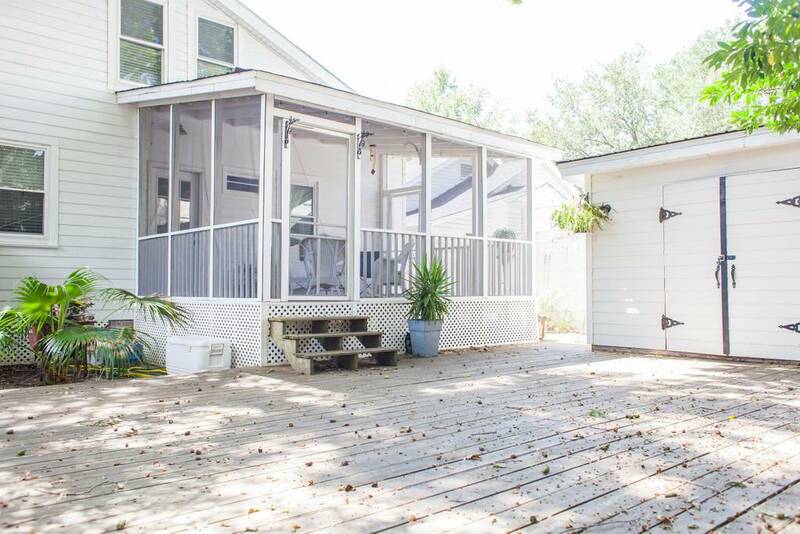 It includes a screened-in porch, hammock, private deck, yard and driveway, so would be great for a family. Parking with 24hr security cameras and tennis courts. Peaceful and quiet.